This is a pretty neat little game.. Well, from what I played anyway. I screwed up and made both players me, so I easily won. 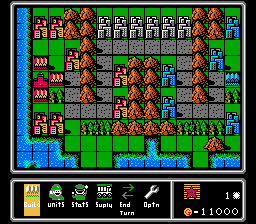 Still, it’s a [system] Wars game, and while they can’t all be as brilliant as Advance Wars, they pretty much all play the same. Except (wraith) doesn’t like em. Seems pretty cool. 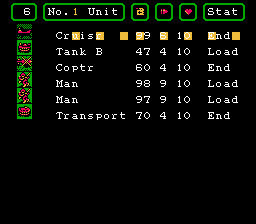 He made little icons for the funky vertical menus down at the bottom of the screen! This patch should now be complete with the latest update. 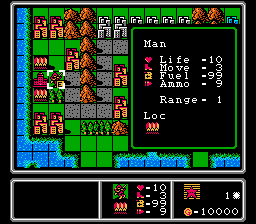 ADDENDUM: This patch was created using a bad dump of the Famicom Wars ROM. 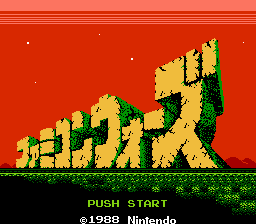 A separate patch (link) was created for this translation that can be used on the correct ROM.